Hind Khoury is a board member of Sabeel, and is a former PLO ambassador. She was scheduled to appear alongside Raed Salah this week, but thankfully Salah was arrested. Salah the antisemitic hate cleric and Hamas-fundraiser banned from the UK. Khoury was invited to speak alongside Salah by the Palestine Solidarity Campaign in the UK. Increasingly, the PSC is displaying antisemitism. 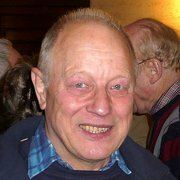 The Reading branch of the Palestine Solidarity Campaign, is run by Tony Gratrex – a member of Christ Church Virginia Water who has made openly antisemitic remarks about the Jews running the media, and making Gentiles feel guilty about the Holocaust. Gratrex also drives truck for Viva Palestina on behalf of Christ Church Virginia Water. Viva Palestina is a British initiative to raise funds for Hamas, which is supported by the Reading Palestine Solidarity Campaign. This is how deeply some members of CCVW are mired in extremist movements that try to affect UK politics. Will the Bishop of Guildford intervene?